If you feel normal about walking abroad, the future is bringing something new to you. 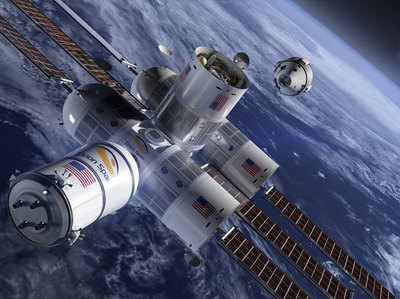 Actually, in 2022, a luxury hotel is being claimed in space, in which anybody can stay. However, for this, you have to start preparations right now because the company that travels will get crores of rupees for it. America's Texas state company 'Orion Span' has been involved in its preparation. This startup has announced that it is going to be the first luxury hotel in Space which will be launched in 2021 and will open to the public by 2022. According to the information, the hotel will have space for two crew members and four passengers. The entire journey is being said for a total of 12 days. The company has also started booking on the website. According to the website of Orion Span, the entire trip will cost $ 9.5 million (about Rs 61 crore). That is, one night will cost more than five crore rupees. About 51 lakh rupees will be deposited in this form. This journey will be returned to completion. They can be understood for advance booking. If the journey has to be canceled due to some reason, then the money will be returned. Orion Span named the hotel Aurora Station. It's made as big as the cabin of a big private jet. Let us know that last year Russia had made the same plan. He spoke of making a luxury hotel at the International Space Station. However, no one knows anything about that plan yet. Orion Span has not even made it clear what kind of facilities the passengers will get in the hotel.